Shigeru Kawai SK-EX, SK-5, and Kawai EX instruments reproduced with Harmonic Imaging XL sound technology. Strong selection of additional instrument sounds. Supplementing the realistic acoustic piano voices, the ES8 digital piano also features a strong selection of additional instrument sounds, ranging from electric pianos and drawbar and church organs, to string, choir, and mallet instruments, inviting musicians to add greater variety to their performances. Furthermore, the Dual playing mode also allows two different sounds, such as grand piano and strings, to be layered together, while the Split and Four Hands modes divide the keyboard into two independent sections. The volume balances for each playing mode can also be adjusted quickly and easily using the real-time panel controls. Professional accompaniment styles. Featuring a variety of styles ranging from pop and rock ballads, to jazz-funk, dance, and latin flavours, the Rhythm Section function of the ES8 digital piano provides solo performers with professionally arranged backing accompaniment at the touch of a button. In addition, the 100 preset chord progressions and One Finger Ad-lib™ solo phrases allow musicians to breathe life into their repertoire, while maintaining control over each performance. Wide range of connectivity options. 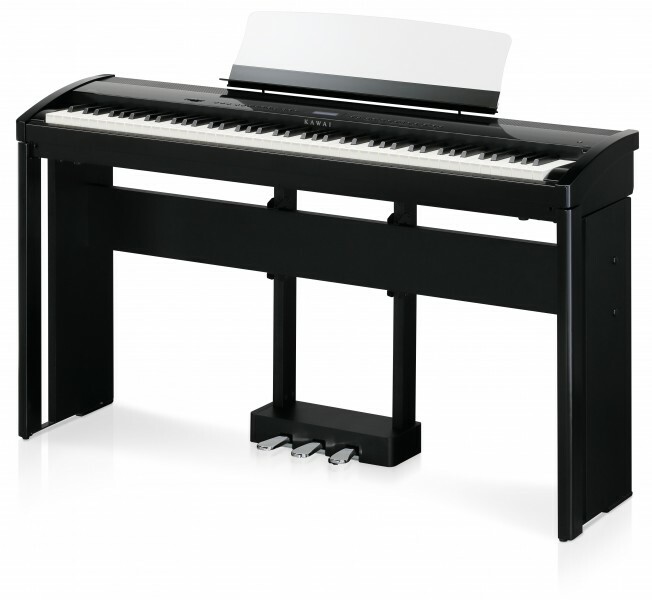 The ES8 digital piano features a variety of standard connectivity options, with Line-level output jacks that allow the instrument to be enjoyed in larger settings such as churches and schools. Standard MIDI and USB to Host connectors ensure flexibility when using computers and other electronic instruments, while the Line-in stereo jack provides a convenient method of mixing in audio from a laptop, tablet, or other digital device. Optional Accessories. The beautiful HM-4 Design Kit makes the ES8 a stylish digital piano. It contains the stand and the acrylic music rack. In addition this set can be expanded by the 3 pedal unit F-301.